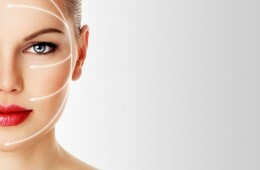 The face is often the first area of the body to show early signs of aging. Of the face the forehead can be a prime spot for wrinkles and lines even at a young age. The skin on the forehead and around the eyebrows is delicate and thin, but also prone to a great deal of movement – leading to new wrinkles. A brow lift or forehead lift is a procedure used to reduce the signs of aging by softening frown lines and creases in the forehead and raising the position of the eyebrows. If you suffer from sagging eyebrows that make you look tired, or have deep frown lines around your mouth and nose it could be time for a forehead or a brow lift. Horizontal creases in the forehead can also be repaired with a forehead lift. A brow lift can be performed in our office in as little as one hour. Two incisions will be make along the hairline. From here the skin will be pulled tight along your forehead and above your eyebrows. The skin will be stitched into place within the scalp area and the excess skin will be surgically removed. Any muscles that cause wrinkling and deep lines can also be weakened to decrease wrinkle formation following surgery. Contact the Center for Beauty today to learn more and discovery what a brow lift can do for your appearance.